Well I have the engine now fully stripped and am in the measuring and check phase. All going fairly well until measuring the primary chain length. The recommended measuring procedure in the manual shows that the measurement is about 10mm too long so a new chain is required. 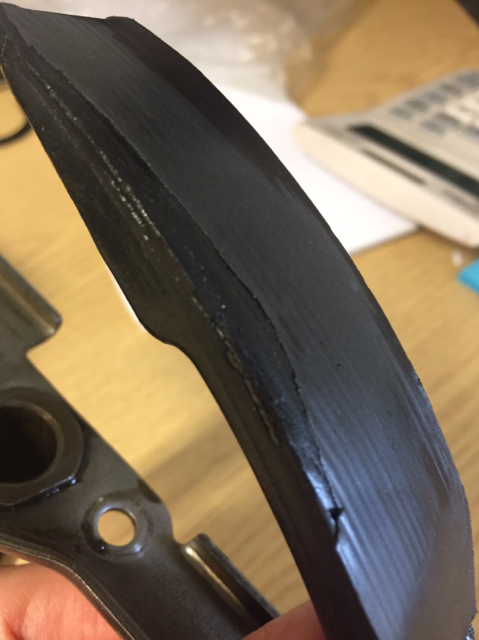 The bottom oil fed tensioner is badly worn on one side and is almost down to the metal. I assume is so worn as the chain is stretched. So onto David silver to but a new chain and tensioner only to find the tensioner is no longer available. A used one is more than likely also worn so what have others done? Is there a company that can reline them?? Sorry for the screwup, I see pads (used) but have two retaining screws holding it place. Yes. They are the ones on top of the chain. My one seems ok. It's just the pesky one that I can't get. Arghhhh!!! Just an idea, take it to a 3D printer shop, they may be able to replicate the worn part, how you get the worn one off and the new one to stay on will be something else! It looks and feels like a type of hard nylon, I would think there is a glue that would make a good bond, the oil runs at about 80-90c max. There are glues that will withstand that heat. In one with no oil cooler the oil temp can easily hit 112 C, at least in the hotter climates. You really want at least 100C anyway as it keeps the water boiled out of the oil. I myself tried to hit 220 F., I have no idea how hot that is in C.
Don't assume just any plastic can be used there either, the running specs of it are quite hard to get together in one plastic. 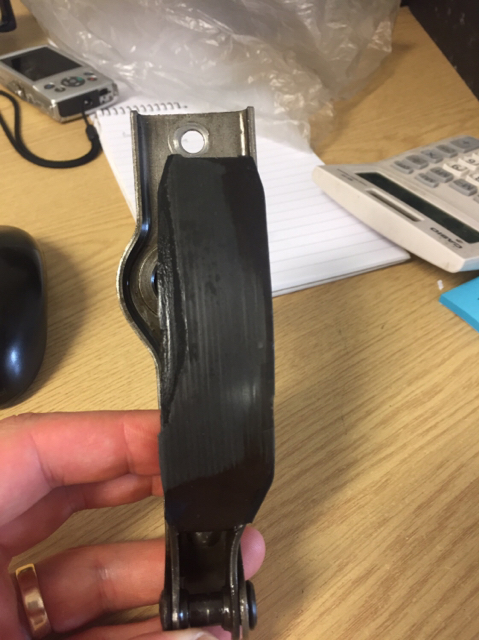 Did you ever resolve the problem with the primary chain tensioner? I did ask David Silver if they had any plans to remanufacture these parts? "No" was the short blunt answer. There must be a market for these given the 1000s of these engines still around. Not as such, I bought another used tensioner with less wear on it. Not ideal I know but couldn’t find and alternative. Haven’t started the engine yet so fingers crossed. Need to see if Vince and Hyde will make them in NZ. Their cam chain tensioners are the de facto standard to replace OEM rubbish. Cannot recommend anything else. One can always hope! Is there no one in the UK capable of making these things, even in the EU perhaps? I know Brent Hyde gets his heads made in Italy and I am not sure where he gets the tensioners made, but they could well be local as you need good foundries to make the head and Italy have a lot of these. I will ask. Did anyone have luck on sourcing this Primary chain tensioner outside of scavenging from used sources? Mine looks pretty much like your photo. 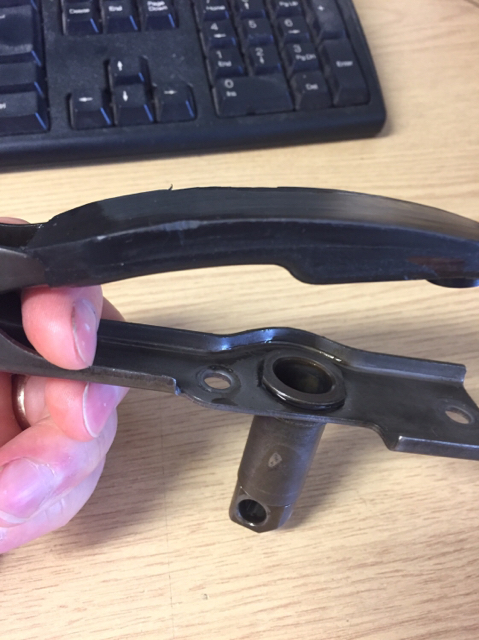 I did ask David Silver here in England if they had any plans to remanufacture these tensioners, the short answer was "No". Surprising considering the potential demand. The DOHC doesnt have near the following that the sohc motor does. I am sure at some point CycleX will probably offer rebuilt tensioners with their new tensioner material. Doubt many other companies will produce much for parts for these motors. Will a 1982 CB900C primary chain tensioner work on a 1982 cb750 super sport? How do I adjust the cam chain tensioner? CB750 Limited - Primary Chain Tensioner - Parts?? Bigger sprocket or chain tensioner?